The U.S. Air Force’s third GPS III satellite in production flow at Lockheed Martin (NYSE: LMT)’s advanced satellite manufacturing facility here is now fully integrated into a complete space vehicle. The U.S. Air Force’s third GPS III satellite, GPS III SV03, is now fully integrated and ready to begin environmental tests. 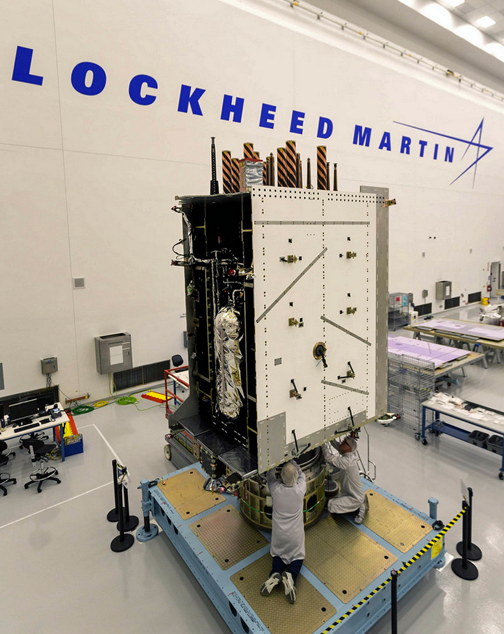 Lockheed Martin is in full production on ten contracted GPS III satellites at its GPS III Processing Facility near Denver. Photo is courtesy of Lockheed Martin. GPS III Space Vehicle 03 (GPS III SV03) followed the first two GPS III satellites on a streamlined assembly and test production line. Technicians successfully integrated the satellite’s major components — its system module, navigation payload and propulsion core – into one fully-assembled space vehicle on August 14. 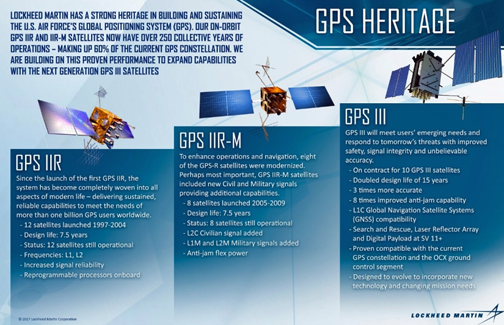 Mark Stewart, Lockheed Martin’s VP for Navigation Systems said that GPS III is the most powerful and complex GPS satellite ever designed and built, and it’s now into a smooth production flow. The real credit goes to the Air Force for all the Back to Basics work done in advance, reducing program risk for all the GPS III satellites going forward. The company is looking forward to bringing GPS III’s advanced capabilities to our warfighters in 2018.